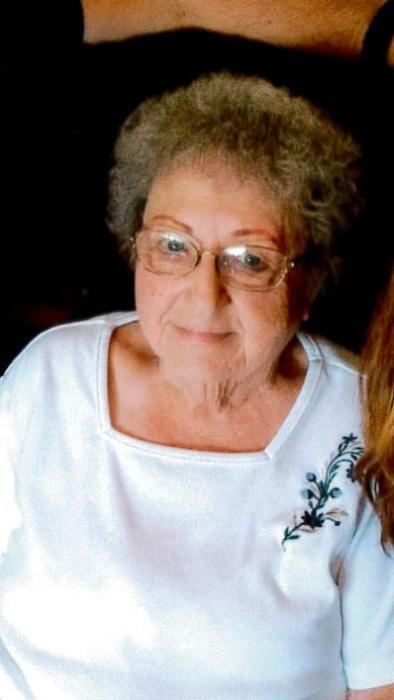 Jeannine Lee Boyd, 89, died on Friday, January 25, 2019 at Libby Care Center. She was born on March 15, 1929 at Logan, Iowa to Louis and Ecil Gash. She attended schools in Logan, and graduated from Logan Magnolia High School in 1947. Survivors include her children Michael Boyd (Cyndi), Laurel, MT; Susan Boyd, Libby, MT; Janice Hull (Duane), Bothell, WA; grandchildren Stephanie Boyd, Dawn Hart (Richard), William Zunino III (Sylvia), Mark Zunino (Christian), Angela Zunino, Nathan Brant (Rosa), Richard Brant, Benjamin Brant, Krista Logue (Shadd), Corey Hull (Breanna), Trey Redd, Sylvia Gardner, Donald Gardner, Jr., Erika Hart; nephew Larry Gash; niece Joyce Rosengren; great grandchildren Nick Zunino, Samantha Rogers, Marco Zunino, Marissa Zunino, Vanessa Zunino, Bianca Zunino, Jason Brant, Kristine Brant, Justyce Brant, Jenavieve Brant, Kenadie Lee, Keaton Logue, Josiah Logue, Hannah Hull, Marshall Hull, Emersyn Hull, and great grandson Michael Brant. Visitation will be from 1:00 – 7:00 p.m., Friday, February 1, 2019 at the Schnackenberg Funeral Home in Libby. Services will be on Saturday, February 2, 2019 at 1:00 p.m. at the Libby Christian Church. Memorials may be made to the Libby Christian Church. Online condolences and memories may be shared at www.schnackenbergfh.com.